Sierra was working at Pizza Pie Cafe when Josh came in. In the words of Sierra, “I was smitten by him!” Sierra decided to tell her co-worker to tell Josh that he needed to ask Sierra out! And guess what? He did! 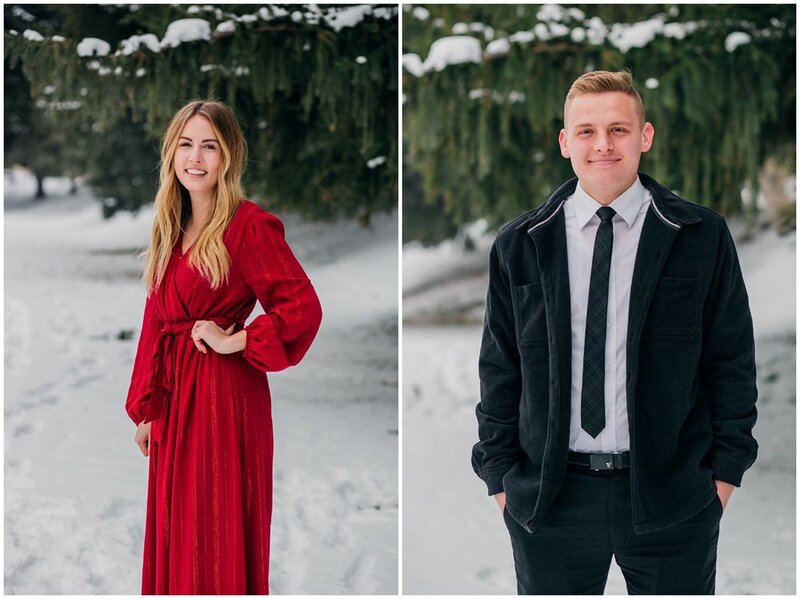 Their first date was at Gravity Factory in Rexburg, which I must say, that’s a pretty awesome first date. After dating for about 2 months, Sierra made a few jokes about how Josh wasn’t allowed to fall in love with her. On one summer night while they were driving to go hang out with some friends, they were singing in the car. Josh told Sierra he loved her and the rest is history! 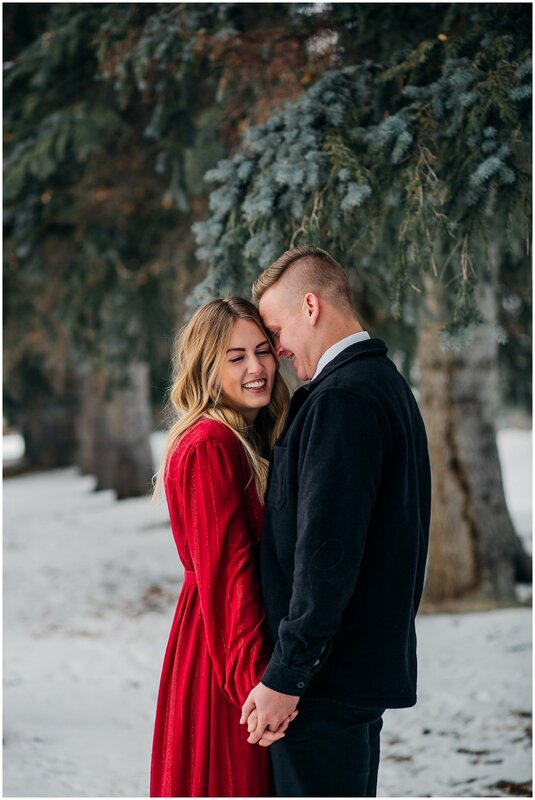 Sierra and Josh were a ball to hang out with during their engagement session! 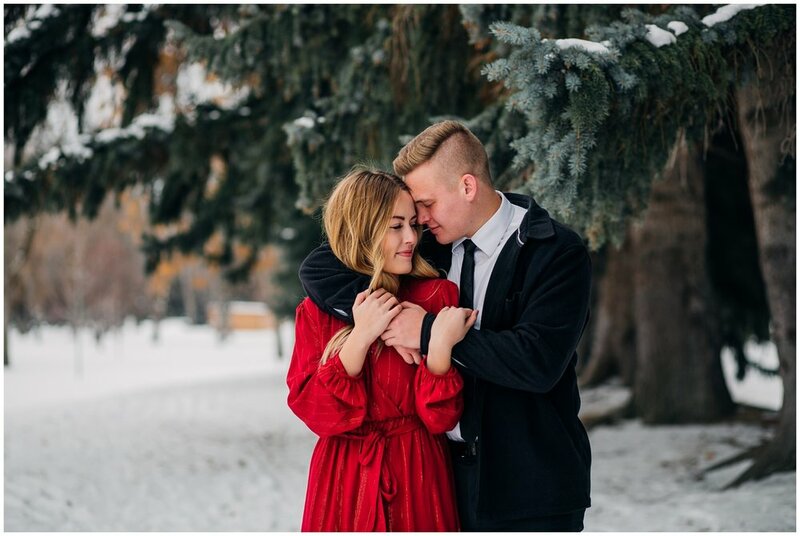 It was a pretty chilly day and as much as we wanted to go to the mountains, we decided to stay local so we didn’t get stuck in snow or too cold during their session. I’m glad we went to one of my trusty locations in Idaho Falls! I can’t get over this amazing forest vibe this hidden gem gives off. I could hang out with Sierra and Josh everyday! Seriously, so kind and down to Earth. Not to mention totally themselves during their shoot! Posing was not required for these two. I appreciated how low key Sierra and Josh were. I feel like these two could have fun doing literally anything! We honestly were out just out in the snow having some fun, and getting a few photos in between it all. 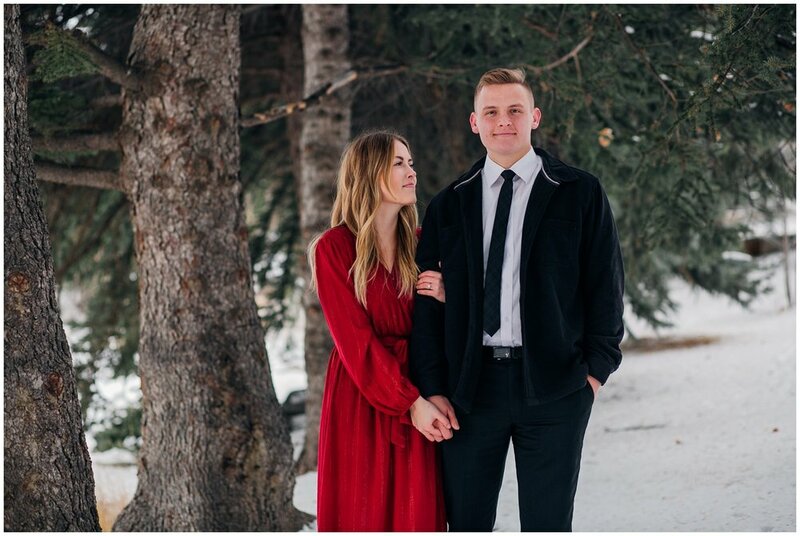 I’m counting down the days until Sierra and Josh’s April wedding! I cannot wait to document these two again!